There is a lot being said nowadays about the draws in chess. Apparently, the peaceful result is not something that pleases the spectators. 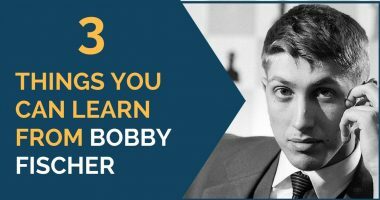 The focus conversation has been whether classical chess is dead or there must be some changes in order to stop the tremendously high draw tendency. This is certainly a complicated matter and it’s probably up to the organizers to set up the rules they want if they want to change this, although we think nothing much can be done. In this article we want to add our share to the conversation and give our readers some advice regarding draw offers. First of all, let’s start with the draws at the highest level. There is no shame in a played out tie. Draws are a normal result. The more both players know, the highest the probability that the game ends in a draw. In fact it should not be other way. Chess is a game where if you don’t make many mistakes, you shouldn’t lose. When two colossi are in top form the game is decided by small details, circumstances of that moment in which a faulty calculation led to a worse position. After studying the games of computers we can see how many games finish in half a point for each; it is normal and it’s not a “bad” result. We should enjoy the game and learn from it, even if in the end nobody won. We believe that the top 10 always go to the board to win and try their best, but they can’t always do it. Draw offers are a problem, however. I can’t think of any other game in which you could talk to the opponent and finish the game suddenly on mutual agreement. If tomorrow the right to make a draw offer was banned, I’m sure we would not miss it at all and it would certainly make it more exciting. Draw offers are like a bad habit; there are players who do it constantly and without an evident reason. When two players want to make a draw, they will find a way; there is no doubt about that. However, the best would be to make them find the way over the board. 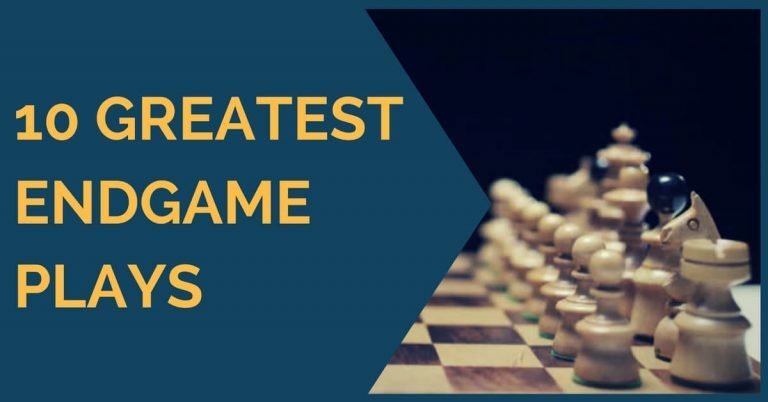 If you are getting started in the world of chess competitions and you aren’t contaminated yet with this chess virus, we have some thoughts for you. If you have been long enough playing and have developed the habit of reaching out to your opponent with the white flag, hear us out too, maybe you’ll change your mind. This is the basic; it all comes down to this. If you don’t put yourself through the test then you’ll never grow to become a strong player. Haven’t you regretted offering that draw because of fear of moving forward? You must have. Once your opponent accepts then you’ll have that sensation of “what if”, “I could have won” for days. It’s better to try and keep a clean conscience. These are 3 very wise thoughts! Why would you offer at all? ELO ratings do not mean much today. There are many rising young kids who, whenever get a promising position against a strong titled player, offer a draw. They would be happy to draw before the game, so they think if they are better and offer a draw then the mission is accomplished. Well, think again, you may just have missed your chance to clinch a point against a strong opponent. If the situation was reversed, don’t expect any merciful offer. When you are getting a draw offer, this could have several meanings. First of all, you could have a better position and he wants to bail out. Second, the position is complicated; you have 20 minutes on the clock and many moves to think about, plus a draw offer to consider. As a result you spent 15 minutes, 10 on the draw offer and 5 on the moves. He got into your head and the game is still on. So beware, the good Samaritans are not at the chessboard! One thing we could all learn from Carlsen is his will to play equal positions on and on until his opponents make a mistake. Very often you’re sitting there seeing how it’s move 30 and the game is still roughly equal. You start finding reasons to offer a draw and eventually you convince yourself to do it. Well, if it’s totally equal, there will be a repetition or eventually it will dry out, but maybe you don’t need to rush things by speaking to your rival. Keep the tension; keep the game going for one more spin, and another… Something interesting might come up! These are some thoughts on the draw offers. It is no doubt something to think about. We would love to hear your thoughts on this matter, so please let us know! There is a time to decline a draw and there is a time to accept a draw and the wisdom to know the difference. If you play on and it is a late night round win lose or draw you lose rest time for the next round. I have offered draws when I thought I had a better position because I was sure if I kept playing I would make a blunder in the endgame and lose. A draw is better than a loss. Hi Paul, the draw is definitely better than a loss, but unless you have a huge prize or a big title at stake, playing on in a better position is a way to grow. Draw is good, I disagree with all. Thanks you. Magnus Carlsen would disagree, he built his entire chess career on avoiding draws. Generally speaking, if you want to improve and reach new heights avoiding draws and playing on is the way to go. 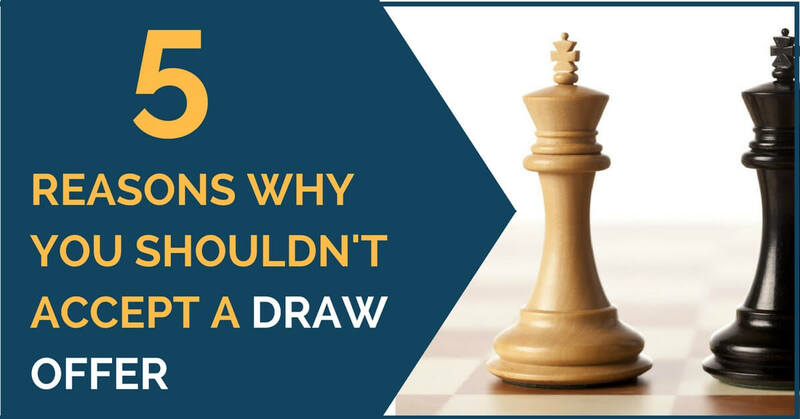 A draw is an ‘easy escape’ preventing one from growing as a chess player.